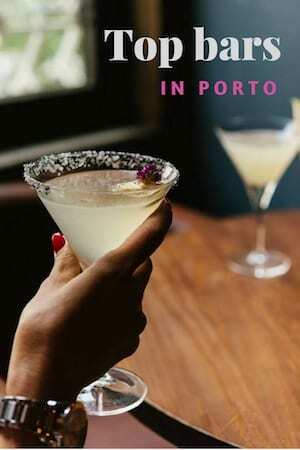 Any excuse is good enough for you to grab a drink at one of the best bars in Porto. As you might want to try different bars, I made a map with all the bars on this article. 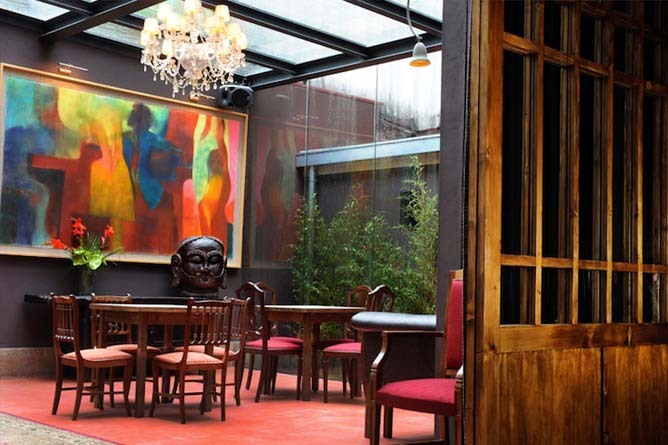 Casa do Livro is definitely one of the best bars in Porto. Its name – casa do livro means the book house – relates to the fact that it used to be a bookshop. Some of the books are still there, giving this bar an intellectual atmosphere as if it’s taking you back to some old movie of Sherlock Holmes. The music is chosen with attention and with good taste, usually more into jazz or blues, but also passing through others styles. 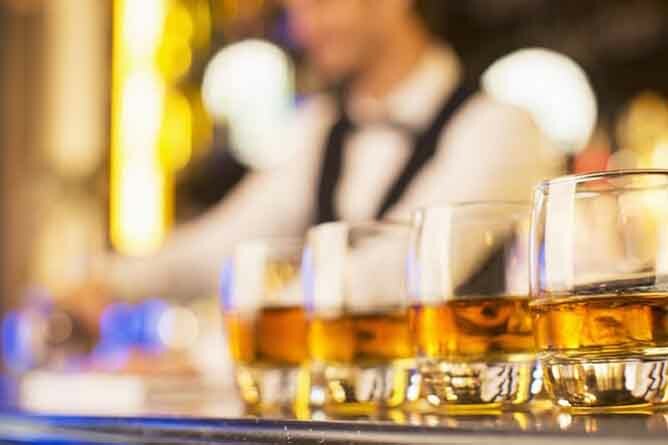 It is a place you should not miss if you want to start the night with a good digestive drink, together with a fabulous environment which will put you in a good mood for a lot of hours. How to get there: Aliados subway station is a 5min walking distance. Galerias de Paris is one of the best bars in Porto. 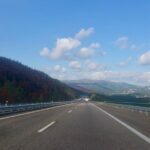 The environment is so mutable that it is always a surprise what you will find there. 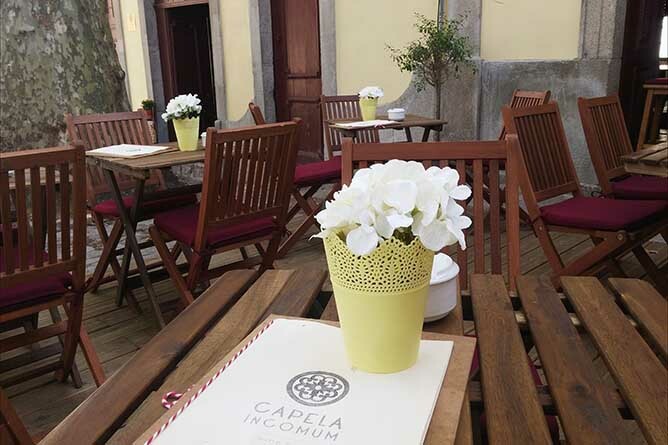 To begin with, it has amazing breakfasts, perfect to start the day at such an emblematic neighbourhood of Porto. Then, at lunchtime, you can find some delicious menus. When the night arrives, Galerias de Paris turns into a dance floor where people from all ages share the vibe of music from the ’80s all night long. If you want to dance like a pro, there are some gatherings on the top floor (sometimes you need to pay for entrance) for dancing lessons such as tango, lindy-hop, salsa or World dances (check their agenda for these events). 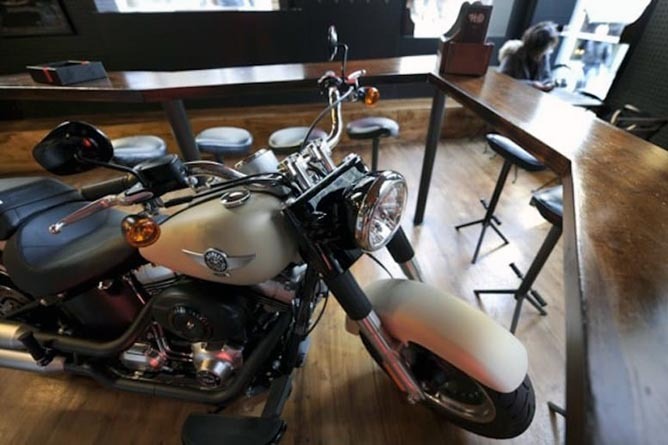 This relatively new bar in Porto, mostly known as “Harley Davidson” is quite a sensation in Porto. The name says it all, but you’ll be surprised when you get inside and see the space organization and decor. I particularly love the old school jukebox, where you can choose your favourite (rock) music. Pipa Velha is an oldie in Porto’s nightlife. 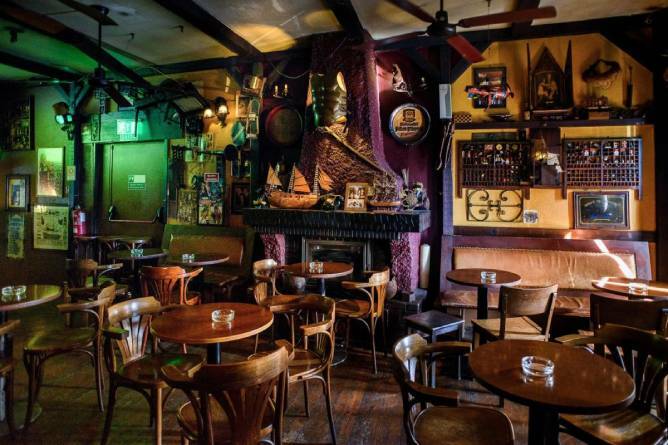 Open in 1981, it has a cozy atmosphere perfect for a friendly chat or a happy hour group gathering. 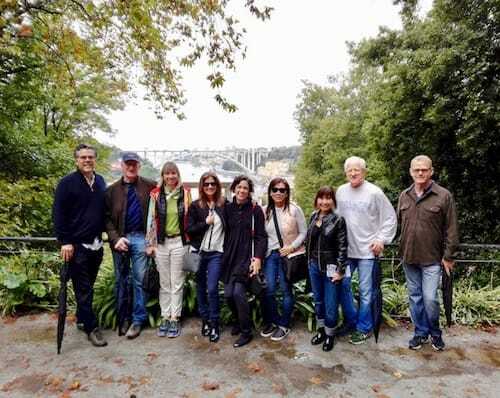 For decades it has been the perfect multi-generational spot, always with the same intention: making people feel welcome and well-served in a special place. 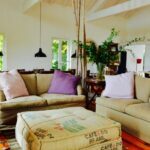 Pipa Velha has a classy decoration, and it has 3 main rooms: the entrance hall, the main room with the bar, and the outside on the back, which is open during summer and closed during winter. There are vast options for a drink but also for a snack, which is always pleasant in the late night going outs. 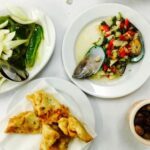 Personally, my favourite time to go to “Pipa Velha” is on a winter Sunday night, sitting with friends around the stone table, savouring some pimentos padrão (grilled green peppers), roasted chouriço or cheese, while having a glass of red wine. Winter is never grey and sad on nights like these! How to get there: Aliados subway station is a 7min walking distance. 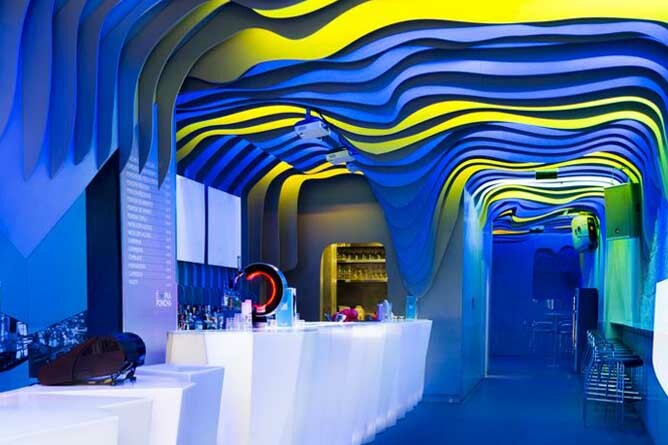 For all champagne lovers out there: in Porto, there is a bar dedicated especially for you! 🙂 It opened its door in 2012 to quickly win our hearts over with its carefully selected list of champagnes (and let’s not forget about the champagne’s cocktails for the most curious palates). It has a sophisticated atmosphere on the inside, but it also has some tables on the outside, perfect for you to enjoy your champagne during hot summer days. Everyone is welcome as there is no perfect age to enjoy champagne, as Champanheria da Baixa has been teaching us during the past years. This is definitely one of the best bars in Porto! 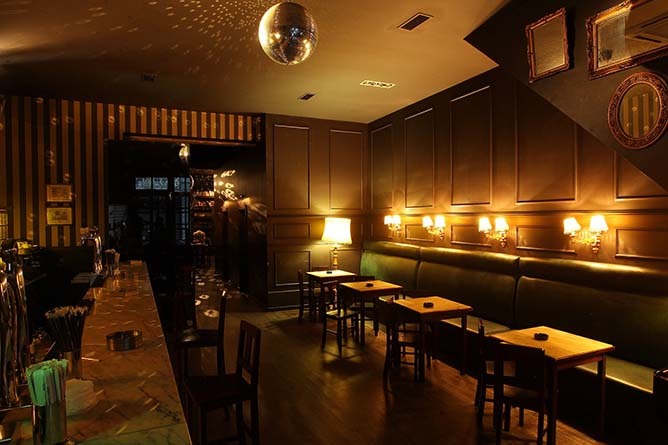 Prova is quite a new addition to the nightlife of Porto and it is not close to the other bars on this list. But it is worthy to include it here as it is one of the few wine bars in the city. 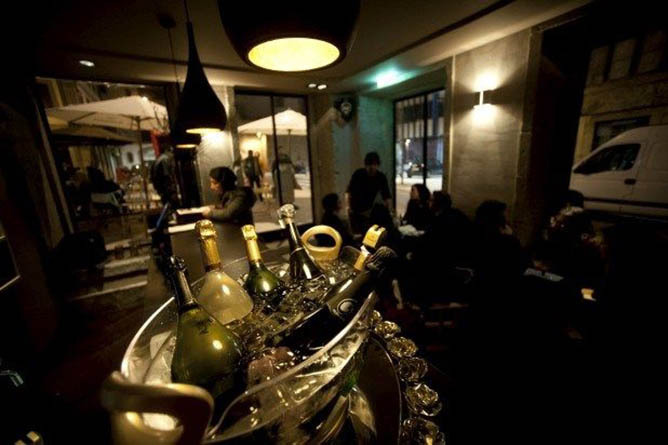 Everything there breathes elegance: from the wines carefully selected by the owners to the jazzy atmosphere. If you want to dance, this is not the appropriate bar for you; but if you are just looking for an intimate place for a lazy wine right after dinner at one of the amazing restaurants at Rua das Flores (the most popular street in Porto), then you hit the spot. 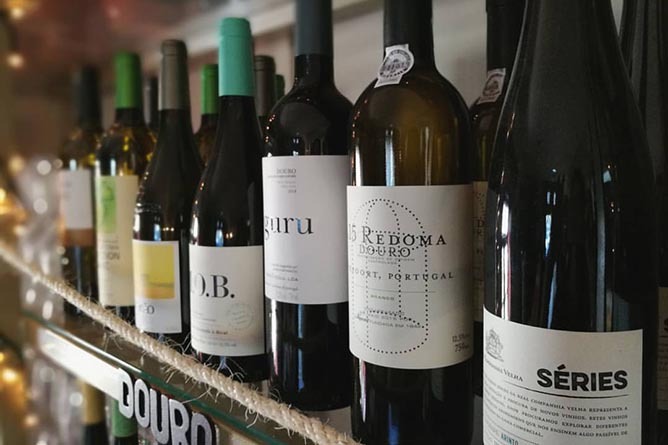 Oh, and one last suggestion: if you decide to go to Prova, why not end the night with the most stunning view over D. Luis bridge, at Ribeira, just 5 min going down the street? 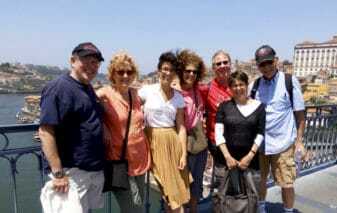 It is my personal definition of romance and well worth it at the end of your stay in Porto. How to get there: São Bento subway/train station is a 6min walking distance. 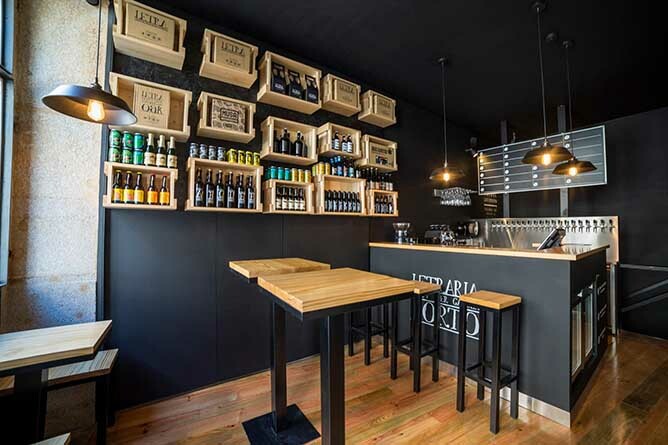 One of the best bars in Porto has to be Letraria, a craft beer pub. The bar, which includes an outdoor garden, might just be the highlight of your trip. 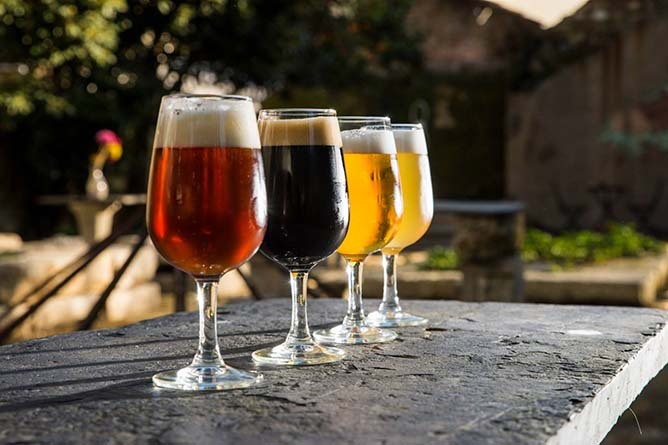 They have different varieties of national and international beer with the staff ready to help you choose. 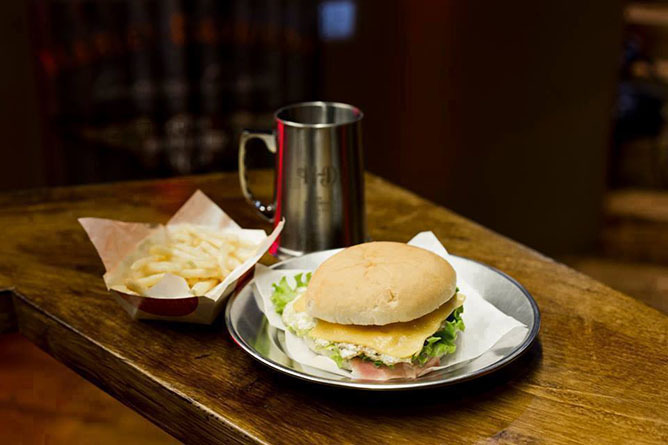 With your beer, you can enjoy some burgers or even a francesinha. Oh, and the best tosta mista (basically a ham and cheese toast) in town, served with garlic sauce and sweet potato fries. This is a great pub to hang out with friends as it has a very positive and friendly vibe. How to get there: Bolhão and Campo 24 Agosto subway stations are 5min walking distance. 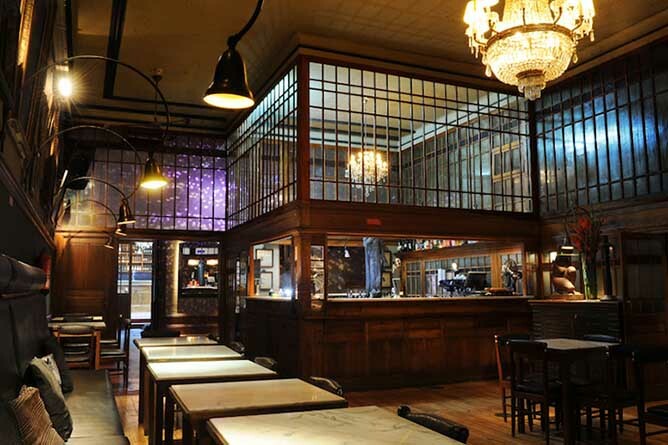 This one of the best bars in Porto and one of the most unusual ones too. 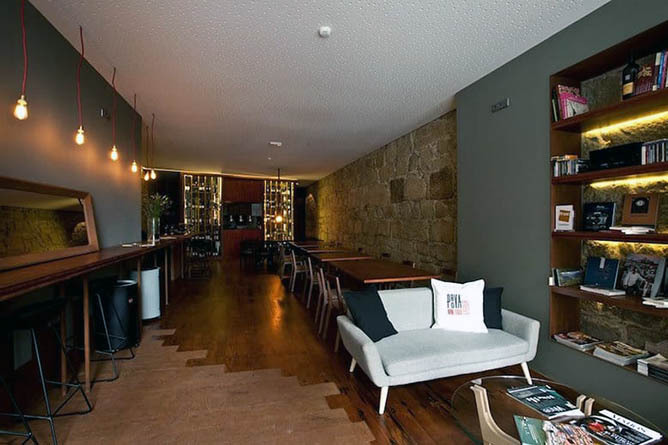 The bar located inside a little chapel is a hidden gem in Porto. 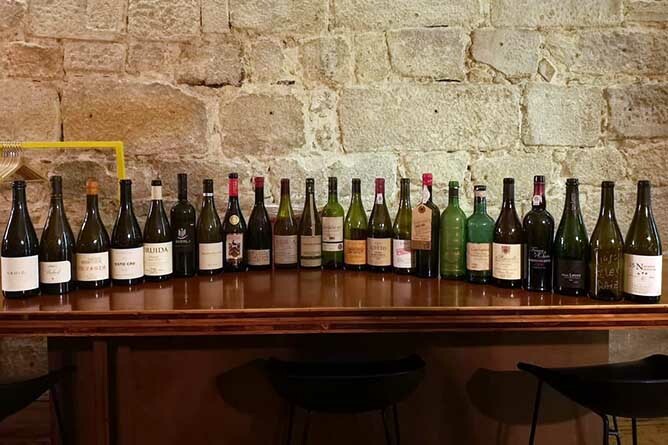 The decorations are antique and church-like and the passion the owners have for wine is evident in their bottle selection, which includes some of the most well know producers in the country as well as superb tiny ones. Here the music is calm and peaceful. And every other week on Thursdays, you’ll be serenaded by fado. 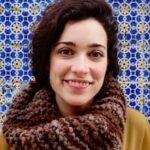 sang by Catarina Almada. If you’re looking for great wine and ambient, Capela Incomum is perfect for that. This bar, however, is not suitable for large groups as it is really tiny (despite having some tables on the outside). How to get there: Lapa and São Bento subway/train stations are 13min walking distance. 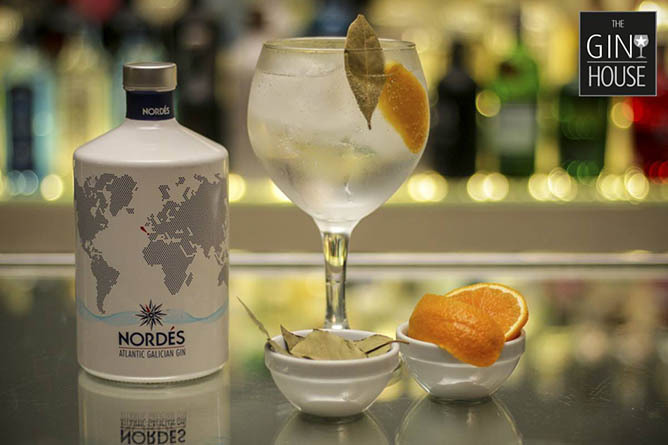 If you’re looking for the best bars in Porto dedicated to gin, look no further! The Gin House offers hundreds of types of gins and the staff will mix one of the best cocktails gins you’ve ever had. Inside, there are leather couches where you can sit down, have a gin and listen to electronic music. There is also outdoor seats perfect for summer nights. Just be aware that this bar is mainly for drinks as the only foods available are small appetizers like fried corn, nuts, cheese, smoked meats and bread. Rua is on our top list of favorites places to dance, so we had to include it here as it’s one of the best bars in Porto. Nothing beats the feeling of listening to talented artists playing live music in one of the most important neighborhoods in Porto. They play music with different genres, but recently it’s more samba rock. This is a very small and intimate bar where the focus is on music and good times. Don’t be surprised if the party gets taken outside 🙂 Bring a friend, order a beer and dance the night away at Rua. How to get there: Trindade subway station is an 8min walking distance. 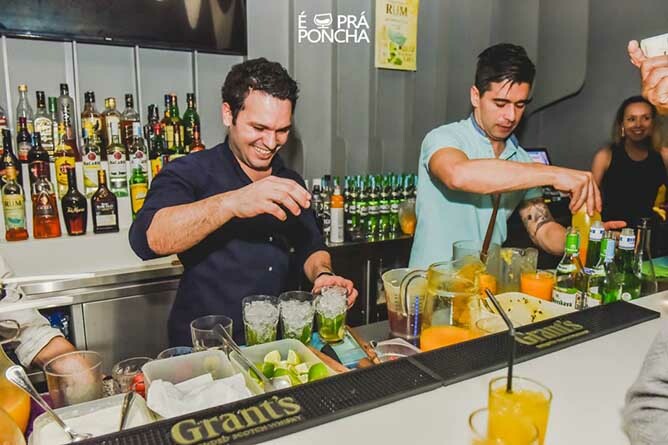 The name for this bar comes from a traditional alcoholic drink from Madeira called Poncha – which is their specialty here. It’s usually made with distilled alcohol from sugar cane juice, honey, sugar and orange. They have another Madeira drink called Nikita made with vanilla or pineapple ice. Besides the traditional cocktails, they have different types of caipirinhas and other alcoholic beverages. 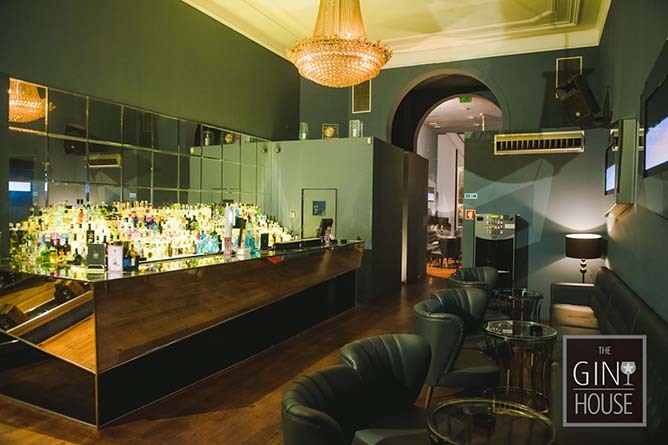 This is a narrow and funky-looking bar so in our opinion, it is good for a quick stop so you can try different interesting drinks, have a few conversations and then move on to the next bar. How to get there: Aliados subway station is a 4min walking distance. Bonaparte comes straight from my university memories as well as my mother’s. I spent so many nights there drinking old rum shot served with a slice of lime dipped in coffee powder, or drinking beer while watching football games. It is a great Irish pub located in Foz, right in front of the Atlantic Ocean. 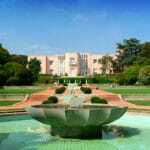 It has a claustrophobic room on the ground floor and a magnificent smoking room on the upper one. 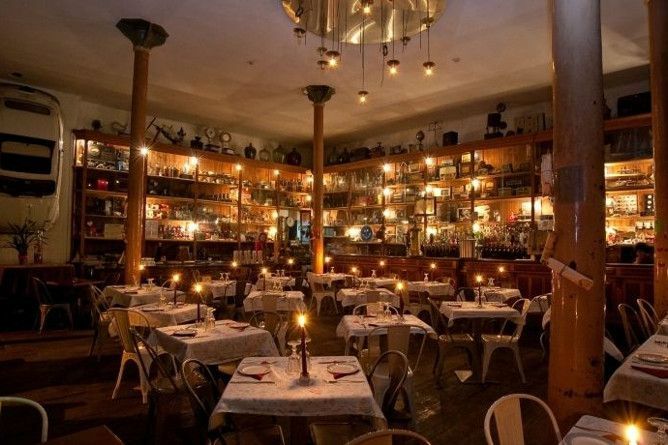 But worry not, Bonaparte became so popular over the years they opened a much wider bar, exactly with the same name, located at the heart of the nightlife district in Porto. These days they no longer serve old rum shots (idiots! ), but the atmosphere remains practically the same. How to get there: from Casa da Música, take bus 203 until Pr. de Liége. The bar is a 4min walking distance. 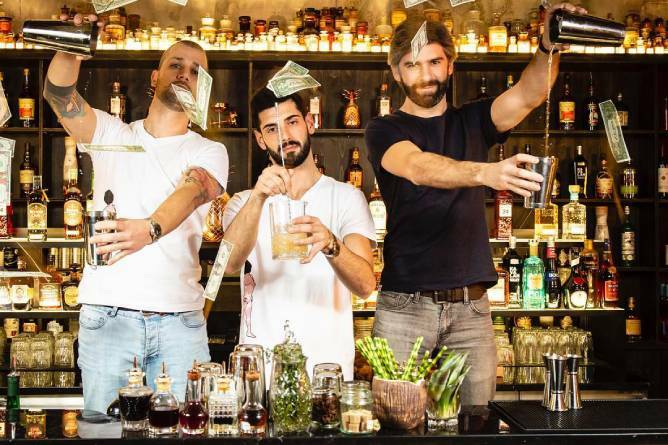 In a street corner in downtown Porto, you’ll find a sophisticated cocktail bar serving some of the best cocktails in town (no wonder, as one of their barmen was considered Barman of The Year in 2015!). On the upper floor you have a regular bar, but the real fun takes place on the lower floor, where seasonal signature cocktails are served. 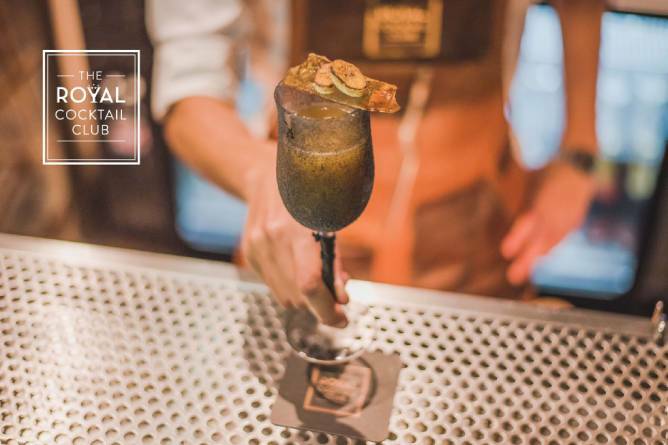 The Royal Cocktail Bar is one of the best bars in Porto thanks to the amazing cocktails, the great atmosphere and the service. The price is much higher than a regular bar in Porto though, so if you are on a tight budget this is not the best option for you. 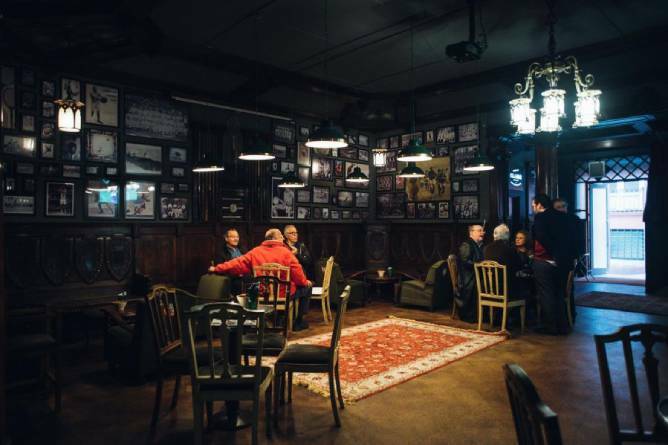 CLUBE Porto Rugby might be one of the nicest sport bars in Porto. They have good options on the menu like the burgers, hot dogs, club sandwiches, spring rolls to name a few. To drink, they have whiskey, rum, gin, Port and the list goes on. Even though this is a sports’ bar, it’s really nice to hang out in. It has pool tables, good music and a cool outdoorsy space. This is a great bar if you want to play some pool/snooker while watching sports on TV or have conversations with friends. At the Zero Box Lodge hotel, we encountered one of the best bars in Porto and the most unique one too. The Big Bad Bank Bar has a cool environment, nothing like any bar we’ve seen in the city before. The cocktails have funny names like The Perfect Heist, Reward, GO Big or Go Home and so on. If you’re looking for a good time and good drinks, check out the Big Bad Bank Bar. 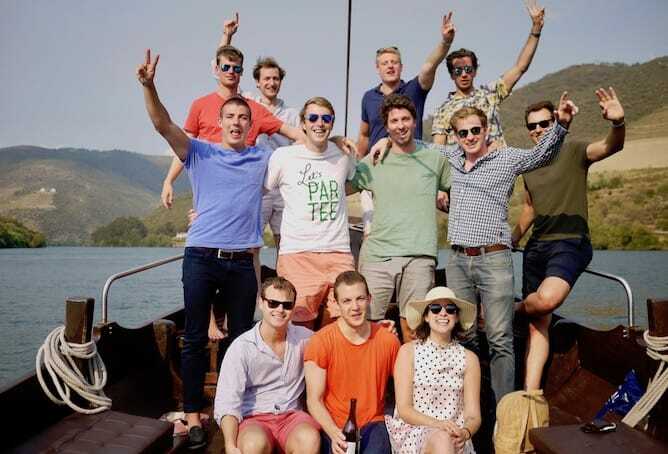 Are there any gay bars in Porto? I really love Lusitano, as it takes me back to my college years. 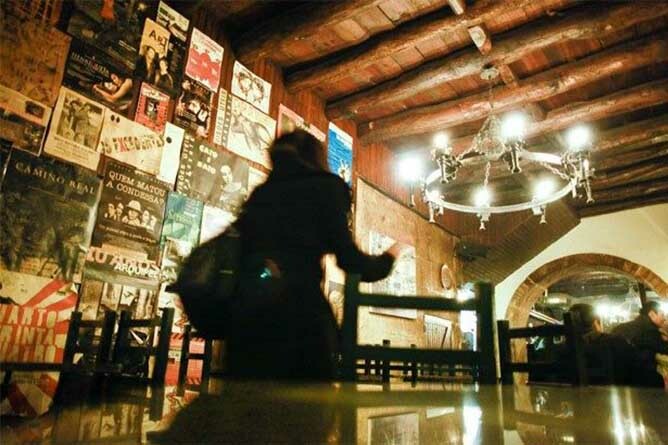 For many years it was considered one of the few gay-friendly bars in Porto. Its intimate decor has some elements of the graphics studio that used to occupy the space as well as some from the Belle Époque from Parisian cafes. It also has a not-so-crowded dance floor where you can enjoy classy music from the ’80s/’90s to the most elegant selection from nowadays greatest hits. These reasons alone make it perfect for everyone. Moreover, in recent years, it opened an indoor terrace which is just perfect! 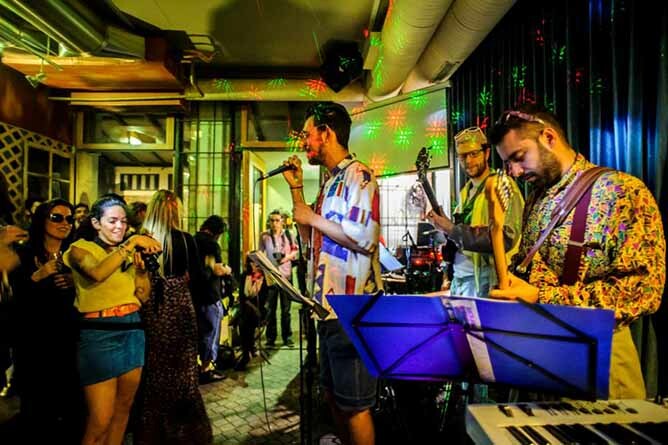 Lusitano is one of the best bars in Porto with an easy going environment where you can start your night with a drink or two before practicing your moves on the dance floor. How to get there: Aliados subway station is a 6min walking distance. 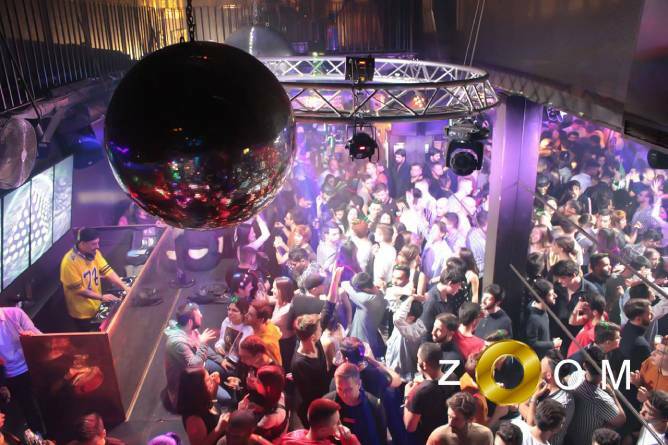 One of the best gay bars in Porto is Zoom, which welcomes everyone regardless of their sexual orientation. They have a lot of themed parties with gogo boy dancers and dance music (pop, house, etc ). Some people may think this bar is “over the top”, but they’re just unapologetically wild and free. So don’t be surprised if things get a little promiscuous in the late hours. If you’re looking for a night full of immense fun, don’t hesitate to head out to Zoom for some drinks and lots of dancing. Indeed, Zoom knows how to throw a party. 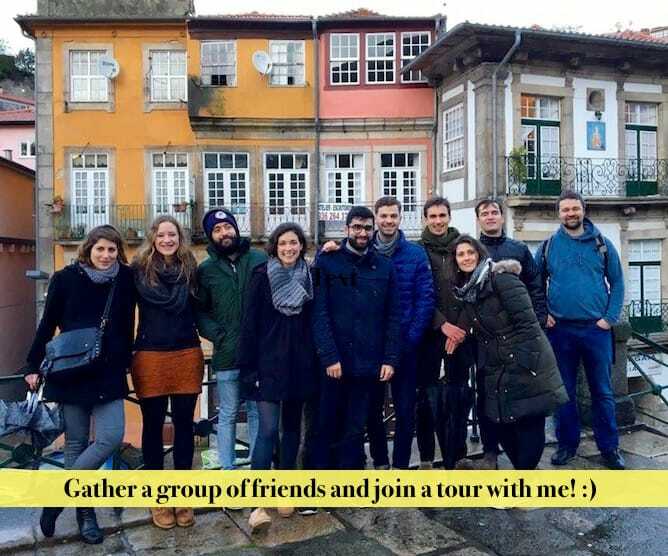 Note: This article was co – written by Fernando Ribeiro, the best guide to Porto’s nightlife and Sara Riobom, blogger at Portoalities.